How Do You Improve Your Confidence As A Clarinetist? The first video here is a mini-lesson that gives you about three concrete strategies to improve your confidence in your clarinet playing. You can also download the Clarinet Mentors Practise Planner, a valuable tool to build confidence. There is video explaining how to use it. There are also links at the bottom of the page to other resources that can help your clarinet playing. If you want some handy tools, download the Clarinet Mentors Practise Planner below and look at all the free video training resources on this page. Ready To Try Improving Your Clarinet Confidence This Week? Press the blue button to download your Clarinet Mentors Practise Planner. The video below gives you details on how to use it. Need Help With Your Practise Focus? 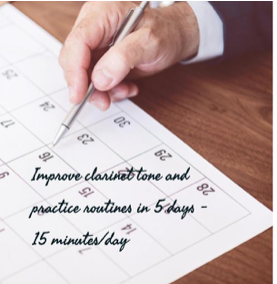 Click here to sign up for a free set of Better Clarinet Tone exercises from a 5-Day course that Michelle broadcast live, 15-minutes per day. 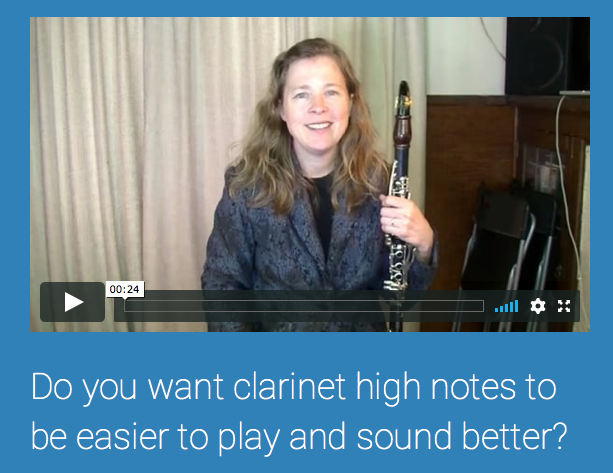 Click here to receive some free training videos on how to play clarinet high notes more easily, with better tone and control. Do your fingers slow you down? Sign up for some free training videos here to improve your Clarinet Finger Technic.